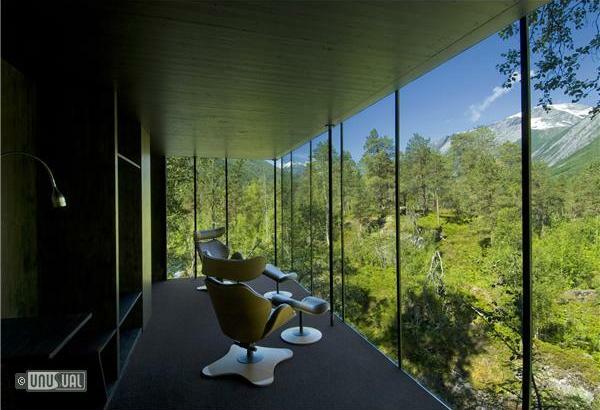 Turning design hotel convention on it’s head, Juvet – the first ‘landscape hotel’ offers guests an understated, dark and bare room interior – to enhance the natural landscape views from the panoramic windows. Head Architect of Oslo based designers Jensen & Skodvin explains, "We wanted to give the feeling that you're outside even though you're protected inside." 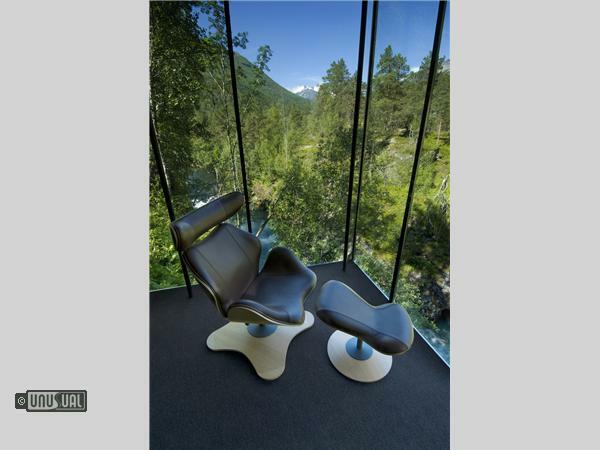 At first perhaps, these minimalist pine and glass-clad buildings seem haphazardly erected, yet the views from their panoramic windows highlight that their locations have been expertly and specifically orientated to a particular vista. 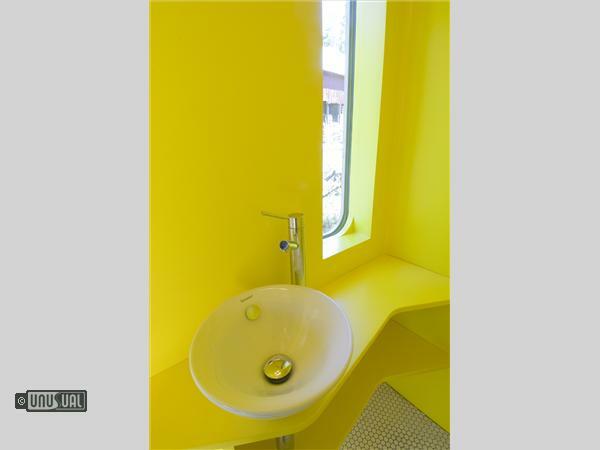 Inside each of the seven cabins, the timber walls are bare of any decoration with minimal furniture – a bed, lamp and couple of designer chairs. 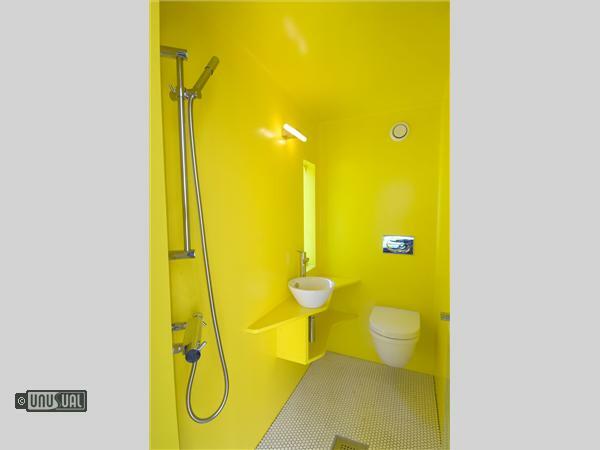 The interior is dark to avoid taking attention away from the scenery, with only the bathroom colourful - a warm canary yellow theme. 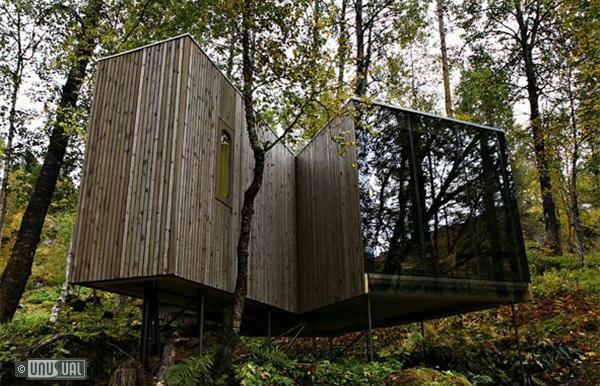 Treading lightly on the landscape, the rooms are anchored with removable steel rod foundations. 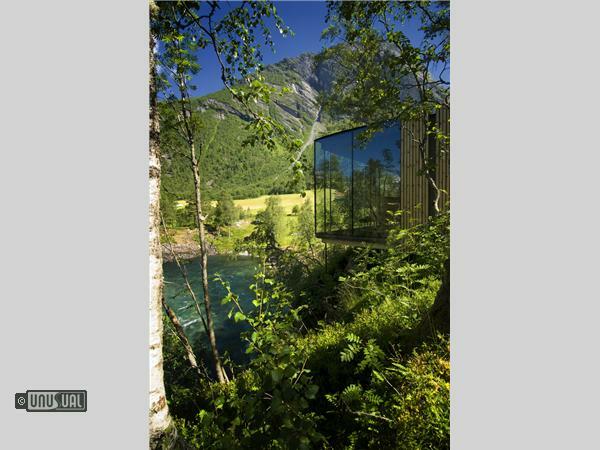 "We are guests in nature, so it's a good idea that hotels can be taken away without leaving scars behind," Architect Jensen explains. 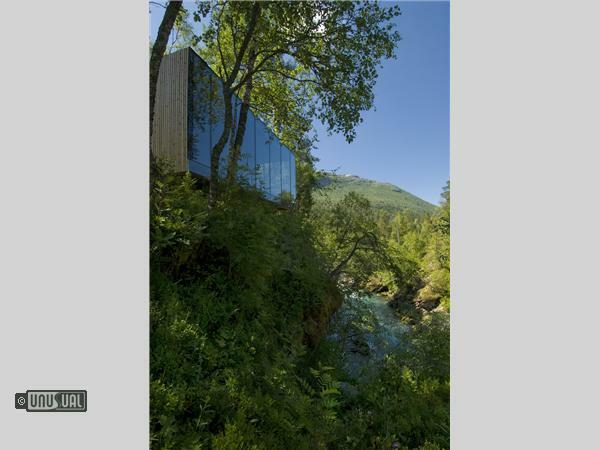 The spa has equally impressive views from the sauna and the hot tub embedded in the wooden decking alongside the river. Fantastic mountain top ski trips in the fjord area. Here we can choose from the best peaks and descents from the mountain to the fjord. If the weather is bad and there is a risk of avalanche we can ski in the powder snow at the Alpine facilities nearby. 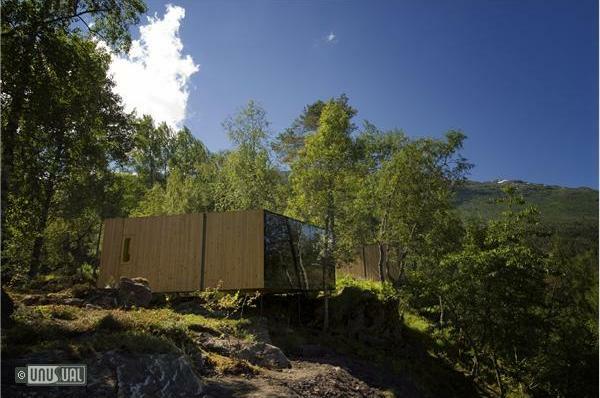 You're minutes from the popular National Tourist Road - a fantastic route through the Sunnmøre Alps and Geirangerfjord landscape - a UNESCO heritage location. A 1hr 30mins transfer from Ålesund Vigra airport to the hotel can be arranged, or fly to Oslo Gardermoen Airport and then take the train to Åndalsnes. 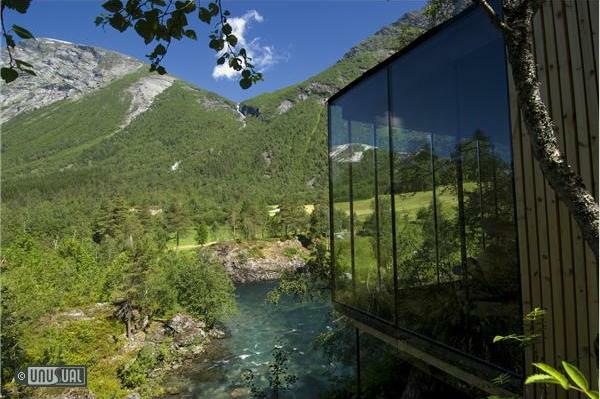 There is a bus from Åndalsnes across the Trollstigen to Gudbrandsjuvet where the hotel can arrange pick you up. The hotel offers a fantastic Ski and Landscape combination, as well as a nautical Ski Safari, where you're transferred between different ski locations by boat. Inquire for further details. Ålesund, on the west coat of Norway is regularly voted as one of the most popular attractions in Norway and a short break, taking advantage of low winter tariffs, quickly reveals why. The town is charming, the people friendly, the food excellent and the shopping stylish. Romance, for lovers of the Unusual. At Unusual we think the best way to sweep that special person off their feet is to take them to a place they will never forget, so we've put together a list of places in Europe to tempt you. A visit to Atlanterhavsparken aquarium, Norway This aquarium is built into the landscape with turf roofs and the natural rocks integrated into the flooring. It offers a natural habitat for the thousands of fish found inside. Juvet is somewhere you can really reconnect with nature - and more importantly, yourself. Owner Knut is friendly and helpful - and a real ski fanatic. If you're thinking of trying the slopes, you'd be hard pressed to find anyone more knowledgeable - or enthusiastic. Juvet is a special, fantastic place. Staying here was a real privilege. Dbl room with breakfast, per person first night. 1250NOK thereafter pppn.